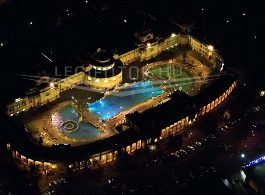 How to buy online tickets at Szechenyi Baths? Here you can buy your bath ticket in advance. No more waiting time, and awkward check in. Online bath tickets with fast track private entrance and private cabin for 22 Euro (for any day, all day) or Weekday Tickets at a somewhat cheaper price. 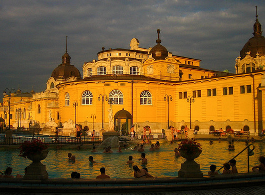 Make use of Szechenyi Bath Online Booking to have a hassle free entry. 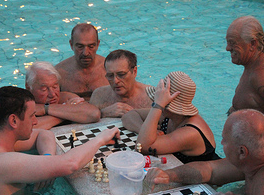 The ticket is valid for all facilities of the baths for a full day with your private changing cabin. Please make sure to check in between 9 am and 6pm. 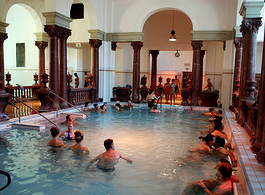 If you arrive at the baths later than 6pm, please buy your ticket at the cashier, as online fast track tickets are entered at a special Help Desk, only open until 6pm: after check in you can stay until 10 pm of course. 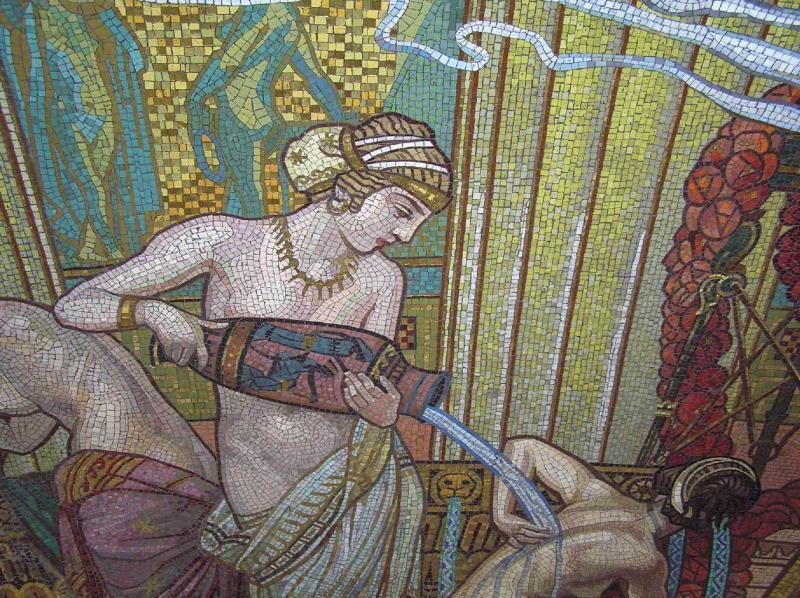 You can buy your online baths tickets in advance, or on the same day as your bath visit. 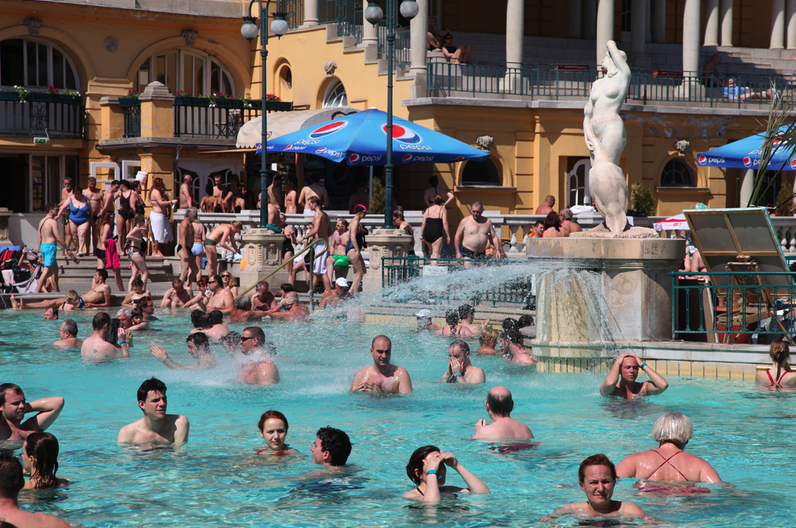 The ticket is valid for adults and teens for all day use, and you will be checked in / entered by the VIP Welcome Desk of Szechenyi Bath at the main entrance. 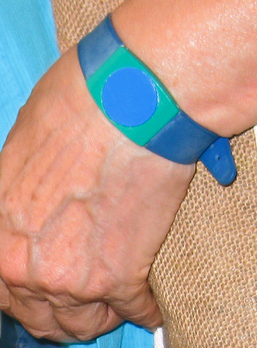 Once you enter the main entrance of the baths (opposite the National Circus), and validate your purchase, you will be given a silicon wristband, which looks like a watch. 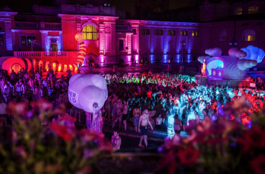 Fast track online tickets for the bath parties are also available. Please check the party tickets inclusions. Xpress tickets are skip the line entries. 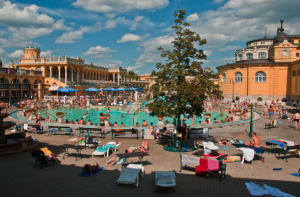 This is not only your ‘ticket’ but also your key for your cabin (the online ticket at Szechenyi Baths includes the use of your own private cabin). Hello, I booked two tickets yesterday and haven’t received any confirmation, please could this be sent to me? I have purchased 3 tickets for 19/04/2019. Can you please email me the copy of the ticket? I have made a booking but have not had the email confirmation through. The payment has definitely gone through. Hi, I booked yesterday 5 tickets but didn’t receive any email from you. Could you please do something about it? Thank you.